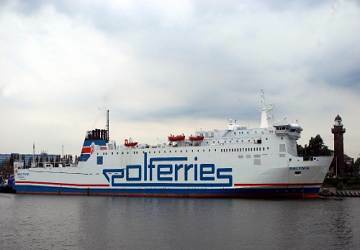 For more information, please visit our Ferries from Sweden to Poland page. 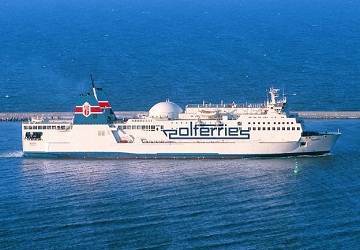 The Ystad Swinoujscie ferry route connects Sweden with Poland and is currently operated by 2 ferry companies. 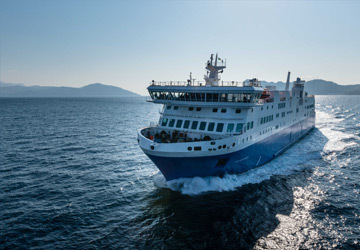 The Polferries service runs up to 3 times per day with a sailing duration of around 6 hours 5 minutes while the Unity Line service runs up to 14 times per week with a duration from 6 hr 30 min. So that’s a combined 35 sailings on offer per week on the Ystad Swinoujscie route between Sweden and Poland. Compare now and get the best fare at the time that you want to travel. Prices shown represent the average one way price paid by our customers. The most common booking on the Ystad Swinoujscie route is a car and 2 passengers. We have slept through the night and ate our breakfast. My only comment was that the crew should speak English, not everyone is Polish. Overall not good quality on the food in the cafeteria. For example the potatoes were hard on the outside and a spongy consistency inside. Have never had worse potatoes. Loading on our car was easy and the sleeper cabin was clean and comfortable. Staff were friendly and helpful even though we spoke no Polish or Swedish. We were travelling with older children who really enjoyed it all! 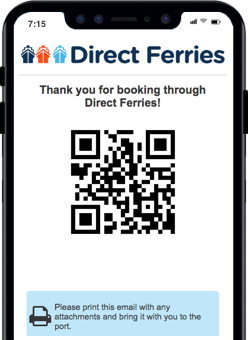 "Big difference on the ferry and the staff although it was the same company"
On the outbound trip we had no expectations at all, and were posivitely surprised by the service minded staff onboard. The prices in the shop were Polish and the sortiment was great, the ferry felt very lush. On the return we sailed with another ferry but the same company, the staff was not very friendly and the food wasn't great. The shop had the same if not higher prices than Stena Line does.. The town of Ystad is located in Skane County in the south west of Sweden. The town's origins date back to the 11th century when the mouth of the River Vassa was settled by families fishing for herring which was became the settlement's main source of income. It was another several centuries before the town was mentioned again when in 1244, a record was made of King Eric's visit to the town with his brother Abel. Shortly after the King's visit a Franciscan Monastery, Grabrodraklostret, was founded in 1267 and later Ystad joined the Hanseatic League in the 14th century. Of particular interest to visitors to the town is one of Sweden's best preserved medieval monasteries, the Greyfriars Abbey. There is also a medieval church in the town, the Church of the Virgin Mary (Mariakyrkan). Both buildings were influences by Gothic Hansa architecture and are excellent examples of Brick Gothic architecture in Sweden. Ystad today is a busy ferry port, administrative centre and tourist attraction spurred on perhaps because of the town's association with the fictional police officer Kurt Wallender. The creation of Henning Mankell, Wallender is mainly set in Ystad and the surrounding area. The town's ferry port has services to the Danish island of Bornholm and to Swinoujscie (formerly Swinemünde), in Poland. The city of Swinoujscie is located in the far north western part of Poland, at the mouth of the River Swina, on the shores of the Baltic Sea. The town's area is made up of 44 islands although only three of them are inhabited. They are Wolin, the largest island in Poland, Uznam and Karsibor and around 80% of the city's inhabitants live on the Polish part of Uznam island. The city is bordered by Szczecin Bay, the Baltic Sea and the German border and the city covers an area of around 200 sq. km. Swinoujscie is also the closest Polish town to Denmark, which is 150 km away, and is 175 km from Sweden and Berlin is only 160 km away. The town's symbol, its historic lighthouse, is located on Wolin Island and at a height of 68 meters is the tallest on the Baltic Sea coast. The lighthouse was restored in 2000 and since then it has been open to the public and provides visitors with lovely views of the city and the surrounding area. Swinoujscie has the largest and most modern ferry terminal in Poland, with regular connections to destinations in Denmark and Sweden.